Researchers have found out what leads to a form of heart attack called familial hypertrophic cardiomyopathy: Individual myosin molecules and rod-like filaments inside muscles produce less force and a lower maximum velocity of contraction than in healthy hearts. Studying transgenic rabbits with the R403Q mutation, researchers used advanced techniques such as atomic force microscopy and molecular systems to look more closely at what was going on within myosin molecules and within the filaments, called myofibrils. The findings were published Monday in the Proceedings of the National Academy of Sciences. Experiments using mice had failed to show that this was indeed the case despite genetic material resembling humans. 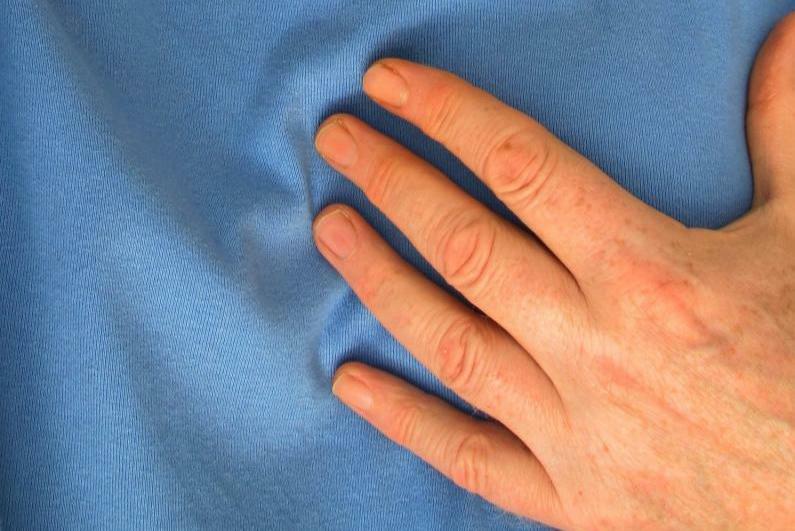 HCM, usually an inherited condition, occurs when the heart muscle is thickened. This condition can cause sudden death in adolescents and young adult athletes without any early symptoms, such as shortness of breath or trouble breathing. As many as 1 in 500 adults, male or female, at any age, could have the condition, according to the Centers for Disease Control and Prevention. The major protein comprising the thick filament in cardiac muscle in the MYH7 gene, β-MHC, plays a major role in cardiac muscle contraction. More than 300 mutations in the β-MHC have been reported, but researchers noted there "remains a poor understanding of how a single missense mutation in the MYH7 gene can lead to heart disease." "It's been difficult to gain a clear picture of what is going on within the myosin proteins with this mutation, simply because of the technical and experimental limitations of looking closely at objects of this minute size and measuring their force and motility," Dr. Dilson Rassier from McGill's Department of Kinesiology and Physical Education said in a press release. "The results should help clinicians develop drugs and chemicals that target this specific function of myosin in future." Although myosin molecules are about 19 nanometers -- or 0.0000019 centimeter -- the new technology allowed them to visualize the movements of these proteins in vitro.